To lift creeping stems and leaves before mowing to create an even surface. To remove dew and prevent disease in autumn and winter. To work materials into the turf surface. To clean up rubbish from pitch ends after a game. The moving of a brush against the surface of the turf. They can be pulled by a Groundsman or be tractor mounted if conditions allow the tractor on the surface. If lateral grass growth is not removed, layers of thatch will be produced thus reducing the pace and bounce on pitches. 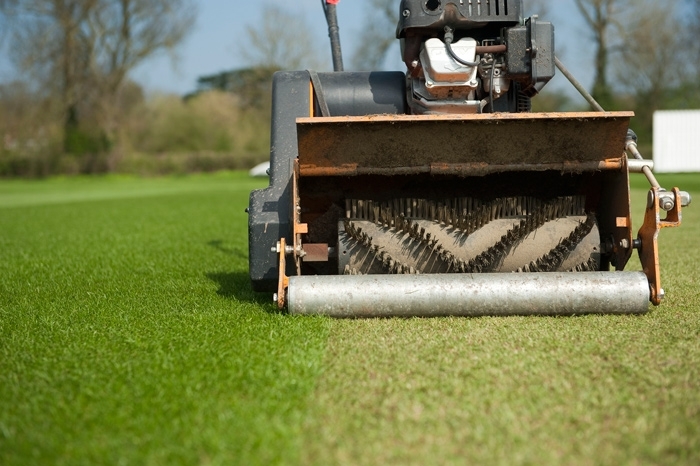 In pitch preparation, brush the surface before each cut to lift the grass plant to remove more grass from the surface.